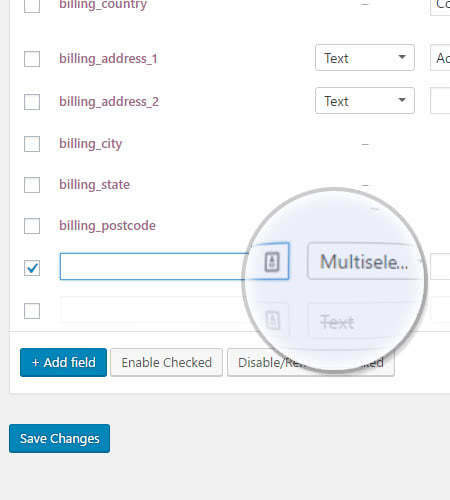 Add, remove and modifiy fields shown on your WooCommerce checkout page. 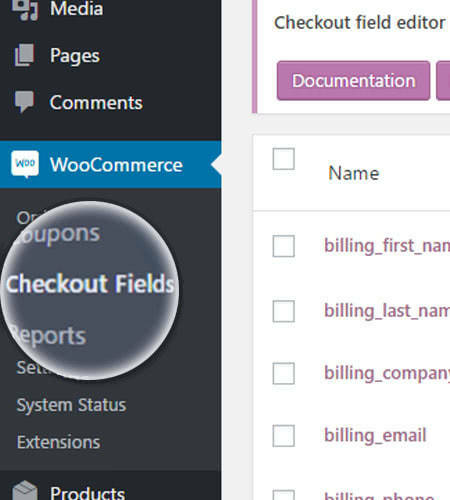 What is WooCommerce Checkout Field Editor? 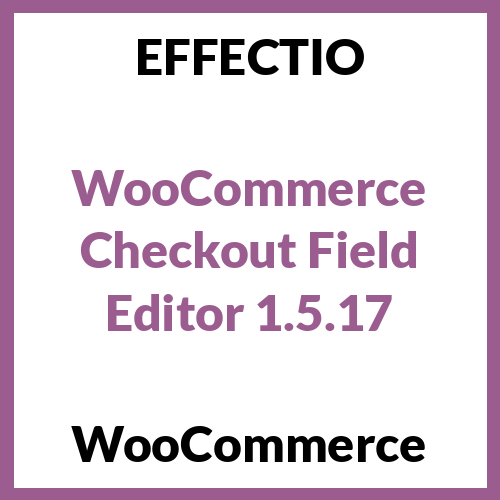 WooCommerce Checkout Field Editor provides you with an interface to add, edit and remove fields shown on your WooCommerce checkout page. Edit WooCommerce checkout page and start creating your custom checkout fields. 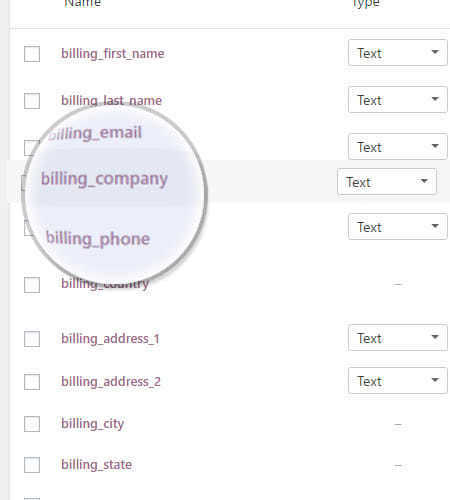 You can add or remove fields from the billing and shipping sections, as well as inserted after these sections next to the standard “order notes”. The editor supports several types for custom fields including text, select, check-boxes and date pickers. After you’ve installed this plugin, you can easily find it in the WooCommerce menu. 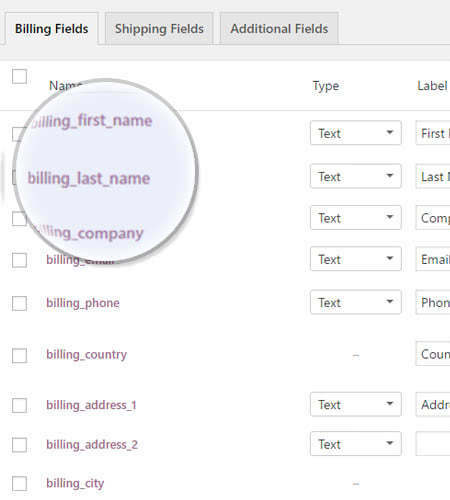 You can choose from billing, shipping and additional fields. The plugin comes with preset fields to ease your work. If you’re not happy with the position of the custom checkout fields, you can change the position of the fields, without messing the code. When you click on the “Add field” button, a new blank field automatically appears. Name – name of the field, which is used as the meta key to save info. It has to be unique for every item. Type – this is a field type. Placeholder/Option values – Placeholder text for inputs or the options for select boxes, radios etc. Validation rules – choose validation rules to apply: email, number and required are supported. Display options – Option to display fields in thank you emails or thank you pages. First, you download the .zip file from your WooCommerce account. Secondly, you go to WordPress Admin > Plugins > Add New and Upload Plugin with the file that you downloaded with Choose File. In the end, you just have to click Install Now and Activate the extension. * Fix – Stripslashes before we sanitize to prevent escaping over and over. * Fix – Remove additional information header when order comments are disabled. * Fix – Improves compatibility with Customer / Order CSV Export 4.0+. * Fix – Update main plugin’s file to match plugin’s slug. * Fix – Update domain’s slug to match plugin’s slug. * Tweak – Added Japanese translation. * Tweak – Added Portuguese (Brazil) translation. * Tweak – Added Italian translation. * Tweak – Added German translation. * Fix – Label inputs have been made larger to make it easier to enter labels for all your fields. * Add – Public method for getting all checkout fields for better extensibility. * Fix – Unexpected token error in checkout when a required field is added to shipping tab. * Fix – Add jQuery tiptip as a dependency when script loads to prevent edge case it does not load.